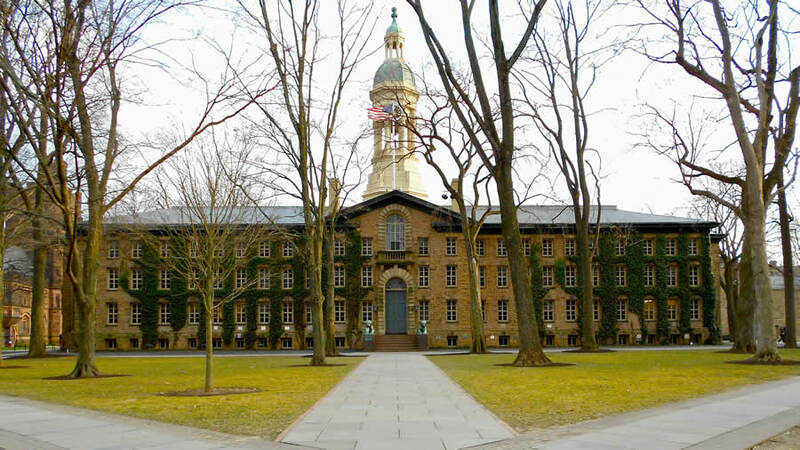 Nassau Hall, the original building and current administration building of Princeton University. What, exactly, does this look like in practice? “Yes,” I thought to myself, “I’m glad that Princeton finally humaned up and did what was right. They’re challenging our traditional patriarchy where it hurts, hitting us right in our semantic breadbasket. And then my mind began to race. The possibilities were almost endless. A mafia leader will now hire a “hit individual” to take out his rival. That tough strong leader will now be “the big boss person,” while that honest male individual will be a “human of its word.” This is really incredible. I got so excited that I finally exclaimed, “Human oh human!” — and then I realized that something was still terribly wrong. Rather than banning the “man” word, Princeton had simply disguised it. After all, why do we say human as opposed to huwoman? What makes this all the more ironic is that Princeton was founded in 1746 as the College of New Jersey, with the school motto, “Under God’s Power She Flourishes.” And until 1902, every president of Princeton was a minister. For my video commentary on this, click here. I long ago realized that an “Ivy League education” was a joke. And the Ivy League “schools” keep proving me right. An “ivy league education only means the buildings are old and rotten, the same as the people in them. “Hu-WHAT”??!! Hard to believe that gaffe. To insult a fexxxx perxxx that much! Almost as bad as that display of whiskers in your profile pic! I must say that it seems that Michael Brown is behind the times! It is a good article don’t misunderstand me. This “man”, “woman” distinction has been phased out for quite some time. My postman/mailman became my mail carrier. Yep, it’s pretty ironic what has become politically correct! I had the exact same thought. While I agree with Dr. Brown’s sentiment, I was surprised that Princeton hadn’t done this decades ago. Not by all of us, I’ll be a holdout for as long as I live, whether they like it or not. Many years ago, the late Chicago columnist Mike Royko wrote a column to highlight the absurdity of this line of thinking. He wrote that some were upset at the term “alderman” (a kind of city council position), but Mr. Royko pointed out that the word “alderperson” contains the word “son”. After considering some other terms that were equally offensive, he settled on the term “aldercreature”. (In case missed it, the column was a delicious piece of satire). Similarly, I recall reading about someone in San Francisco who wanted to expunge the word “manhole” from all official city documents. I think she had suggested something like “Personal Utility Access Portal” or some such nonsense. Meanwhile, I just got done watching some women’s soccer during the Olympic games, and I noticed that the female commentator had no issues at all using the term “man-to-man” when speaking about the female players. I guess that all goes to show where the sensible people are these days, and where they aren’t. “Mankind” is a very bad word – discriminatory and insulting. This will affect movie titles as well. The 1966 French film, “A Man and a Woman” would have had to have been titled “A Person and Another Person”. “A Man for All Seasons” would have had to have been “A Human for All Seasons”, etc. Then there’s Helen Reddy’s song, “I Am Woman.” That will now have to be “I Am Zir”.